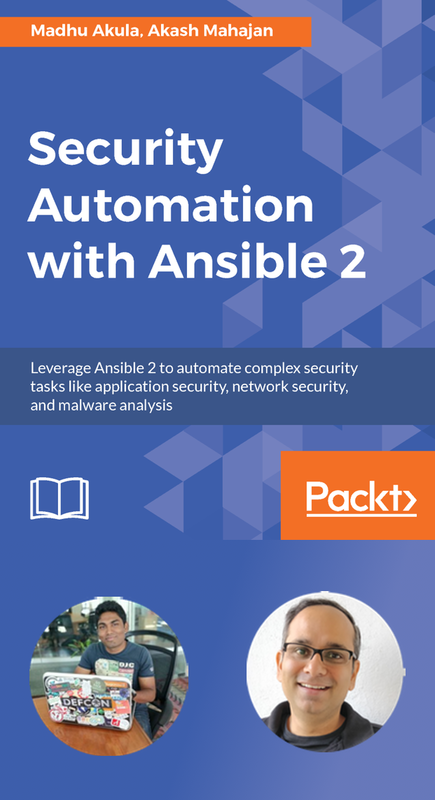 Discover 11 chapters taking you on a journey of automation & security! Our book is available on many web sites! Buy now to get started on your security automation journey! Check out what you can do with this content rich book! Run OWASP ZAP automatically with Jenkins and also use it as a custom Ansible module. Variety of workloads, different use cases all related to automation in security. Application security, network security, malware analysis, patch management and more. All the playbooks and the code are on the book githbut repo for you to download and use. Get an idea of all that you will learn from this book. 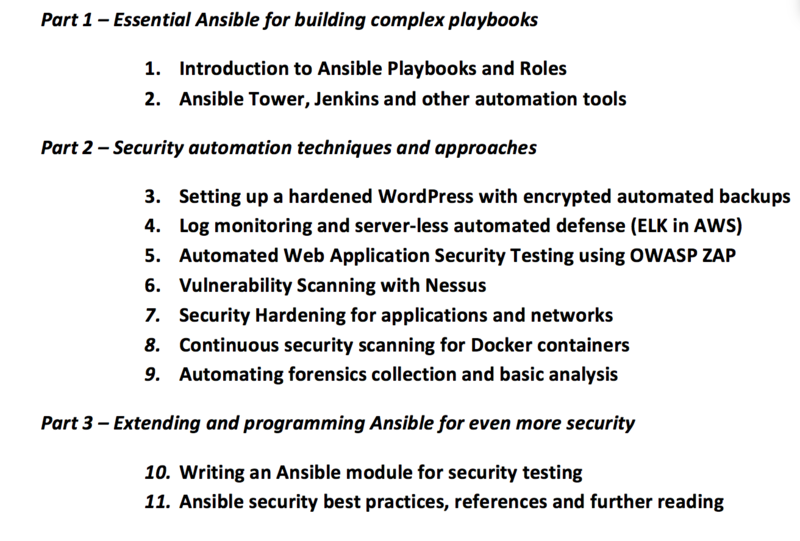 © Security Automation with Ansible2 Book | A simple website by @madhuakula & @makash 2018. All Rights Reserved.